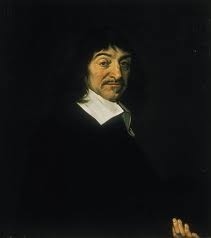 Cogito ergo sum (French: “Je pense donc je suis”; English: “I think, therefore I am”) is a philosophical Latin statement proposed by René Descartes. The simple meaning of the phrase is that someone wondering whether or not he or she exists is, in and of itself, proof that something, an “I”, exists to do the thinking. However, this “I” is not the more or less permanent person we call “I”. It may be that the something that thinks is purely momentary, and not the same as the something which has a different thought the next moment. The phrase became a fundamental element of Western philosophy, as it was perceived to form a foundation for all knowledge. While other knowledge could be a figment of imagination, deception or mistake, the very act of doubting one’s own existence serves to some people as proof of the reality of one’s own existence, or at least that of one’s thought. The statement is sometimes given as Dubito, ergo cogito, ergo sum (English: “I doubt, therefore I think, therefore I am”). A common mistake is that people take the statement as proof that they, as a human person, exist. However, it is a severely limited conclusion that does nothing to prove that one’s own body exists, let alone anything else that is perceived in the physical universe. It only proves that one’s mind exists (that part of an individual that observes oneself doing the doubting). It does not rule out other possibilities, such as waking up to find oneself to be a butterfly who had dreamed of having lived a human life. At that time, the argument had become popularly known in the English speaking world as “the ‘Cogito Ergo Sum’ argument”, which is usually shortened to “Cogito” when referring to the principle virtually everywhere else.